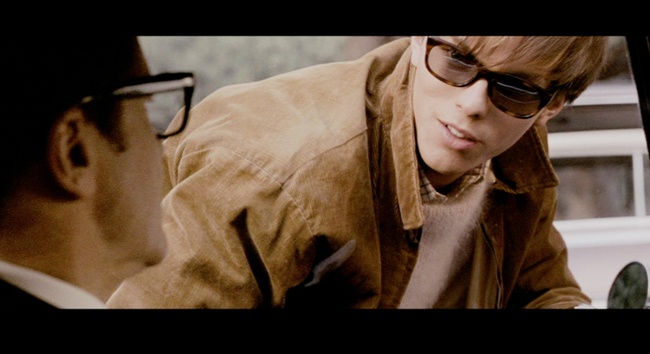 A Single Man: A Glossy in Motion? Place a seasoned fashion designer behind the lens and what do you get? 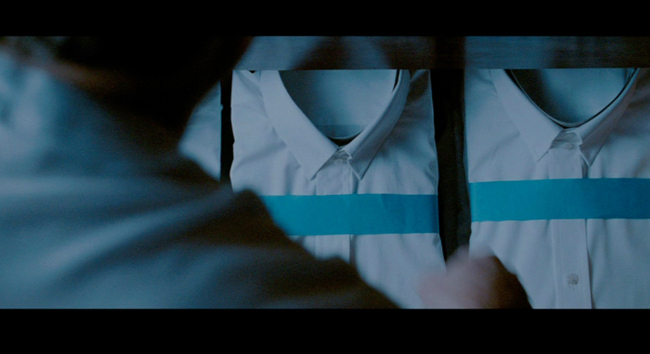 Designer turned film director Tom Ford is behind this cinematic offering. The film, which he financed himself, is the screen adaptation of Christopher Isherwood’s novel of the same name. 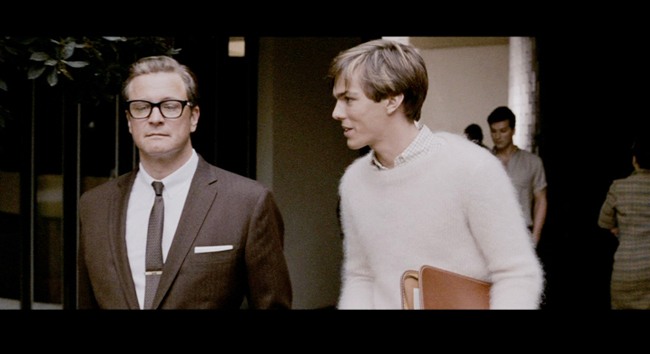 A Single Man (2009) tells the story of George Falconer (Colin Firth), a British college professor who struggles with the day-to-day since the death of his longtime partner Jim (Matthew Goode) eights months earlier. Set in 1960s Los Angeles, the story takes place in the course of a single day, as a downhearted George puts his affairs in order, and goes about his day for what he’s decided will be the very last time. Ford has painted a poetic and affecting picture of a grieving man whose loneliness has become too much for him to bear. Not only are we privy to George’s heightened sensorial experiences as he catches glimpses of everyday occurrences with the renewed gaze of a man readying himself to bid the world adieu, but we’re also treated to an authentic 1960s backdrop. One would expect, given his background, for Ford to take on wardrobe duties for this film, but the couturier actually enlisted costume designer Arianne Phillips to set the sartorial mood for his directorial debut. 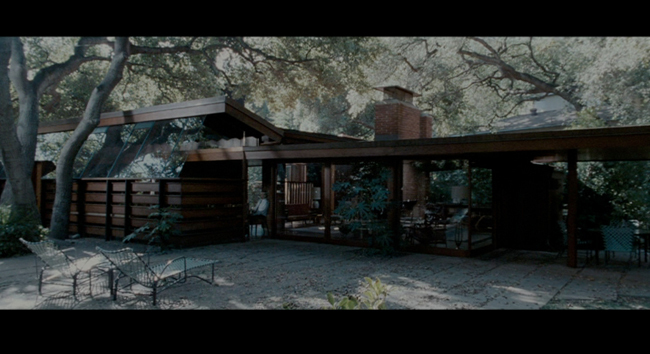 The result is an exquisite rendition of 1960s period garb with a bona fide Hitchcockian feel. 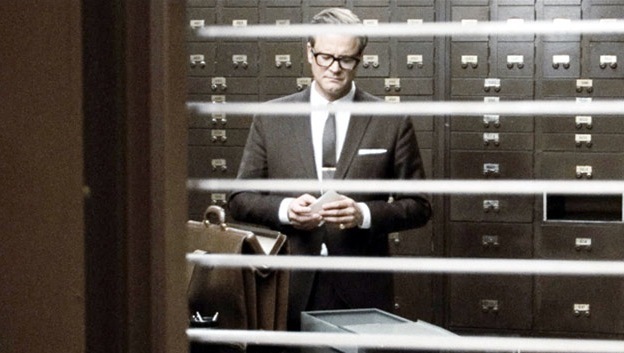 Much like the wardrobe choices in Hitchcock films, the costumes in A Single Man are timeless, clean-cut and simple. George’s crisp white shirt and perfectly tailored Savile Row suit is a visual feast, an ode to the simple elegance of the times, and the perfect complement to his repressed nature. His thick-rimmed glasses are apropos, lend him an air of sophistication, and thankfully, do not reek of hipster chic the way they do today. While critics were quick to dismiss this film as a far too glossy, too perfect, too exquisite, self-indulgent ad-like production (which I suspect is an unfair jab at the director for his concurrent line of work), in no way does the style of its characters nor their surroundings detract from the emotional turmoil they each experience. Rather, the all-too perfect, glossy backdrop heightens the pain, and loneliness of individuals apparently miserable within the confines of their seemingly perfect, elegant world, and despite the many luxuries afforded by it. 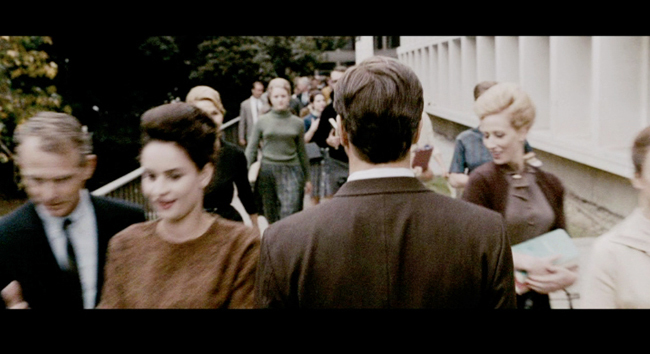 Elegant actors, gorgeous models, and perfect backdrops aside, A Single Man is, as cliché as this may sound, a film of style and substance.